The former Lake Stevens High star took to Twitter to thank Georgia for "an incredible two years." 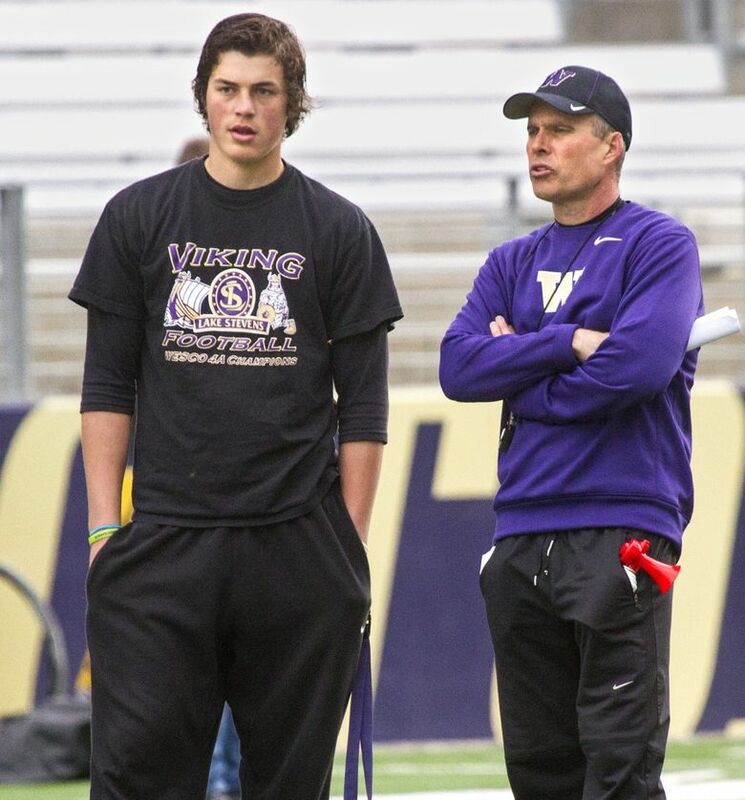 Jacob Eason announced his plans to leave Georgia on Friday morning. He didn’t specified where he will transfer. As The Seattle Times reported Tuesday, Eason is expected to transfer to Washington. He would have to sit out the 2018 season under NCAA transfer rules but then have two seasons of eligibility remaining in 2019 and 2020. He would be the overwhelming favorite to succeed Jake Browning as the Huskies’ starting QB in 2019. Eason won the starting job at Georgia as a true freshman in 2016, throwing for 2,430 yards with 16 touchdowns and eight interceptions. He won the starting job again in 2017 but a knee injury in the season opener sidelined him for a month. That opened the door for true freshman Jake Fromm, who lead the Bulldogs to the national championship game.